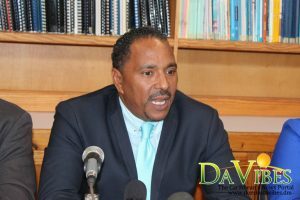 Minister for Health and Social Services, Dr. Kenneth Darroux has condemned the abuse of the country’s youth while encouraging citizens to supports the rights of each child. He made that statement during his address to Dominica, as the country joins the rest of the world in celebrating Universal Children’s Day on November 20th. On 20th of November 1989 the United Nations developed a Convention on the Rights of the child, (UNCRC), a human rights treaty which sets out the civil, political, economic, social, health and cultural rights of children. This Convention was adopted and came into effect on September 2nd, 1990, after it was ratified by the required number of nations, with the government of the Commonwealth of Dominica having ratified on March 13th, 1991. Dr. Darroux stated that by supporting their rights, a safer environment can be built for the children. “Universal Children’s Day is therefore being observed on the 20th of November annually, and is a global day of action for our children; a chance to advocate, raise awareness and raise funds for the most pressing issues facing children. It is a day to celebrate the progress made for children, hold leaders accountable to commitments made and address the still pending issues,” Dr. Darroux stated. He noted that many times the youth are abused by persons who are closest to them, going on to state that there is no justification for the abuse. He went on to note that many times the abuse which our children suffer is sometimes perpetrated by persons with whom they are very familiar. Some of these include family members, community leaders, neighbors, friends, other children and yes strangers. “We should be aware that there is definitely no justification for the abuse of children. I repeat no excuse whatsoever. It is indeed unfortunate that child abuse is still rampant around the globe and has reared its ugly head in Dominica and this I strongly condemn,” Dr. Darroux stated. Evidence shows that child abuse can have serious psychological and social consequences not only for abused themselves but also for the families, communities and society on a whole. Abuse can reduce the self-worth of the victim while seriously hindering their development. There is also an increased risk for illnesses, unwanted pregnancies, stigmas and discrimination and difficulties at school. Dr. Darroux further added that children who grow up in an abusive home or environment tend to internalize that behavior and sometimes use it as a means of resolving their disputes thus repeating the pattern of violence. Dr. Darroux went on to state that the hiding and condoning of abuse of our children is also a huge problem, as many times cases of abuse goes unreported. Dr. Darroux finally added that the Government will continue to facilitate programs that will curb violence against students while upholding their rights. He noted to continue to implement activities such as parenting sessions, educational sessions at all school level and at various health facilities, adding that the will continue with the Foster parents programme and provision of safe homes, to those abused and to those at risk. “The Government of the Commonwealth of Dominica takes this problem of violence against children very seriously and efforts are ongoing through the Social Welfare Division/Child Abuse Prevention Unit of the Ministry of Health and Social Services, to ensure that the rights and responsibilities of children are respected and preserved in Dominica, and that the needs of our vulnerable children are met,” the Minister stated. He also encouraged the public to play their part in ensuring the safety of the country’s children. “Be mindful however, that inspite of government’s best contribution, you as a community must play a part. Let me say to you, it is impossible to build strong nations with broken children,” Dr. Darroux further added.